Let's face it parents, its always a struggle to get kids to eat healthfully. 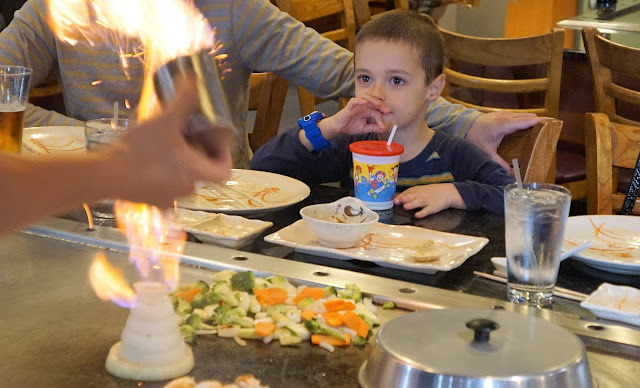 One of our favorite places to eat is the little hibachi restaurant down the street, so I thought fried rice! 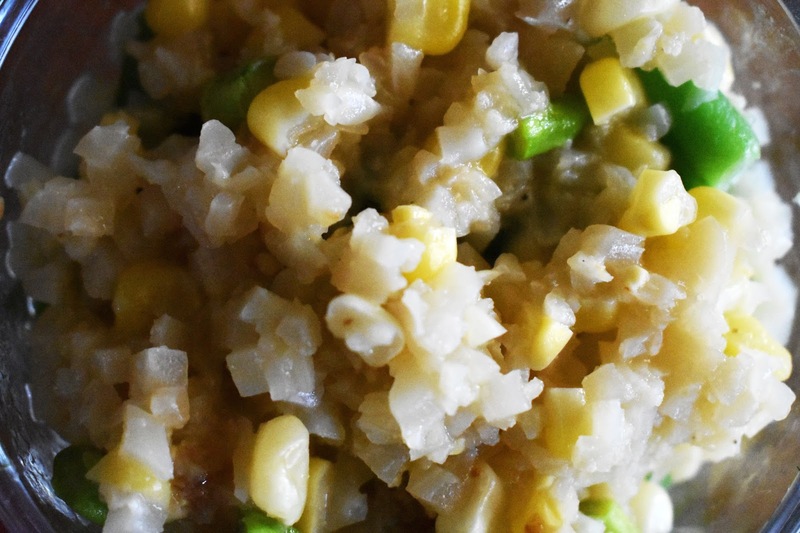 Then I thought about the huge bags of organic riced cauliflower at Costco, and voila! Veggies...hidden ones. What if I told you that this recipe is super easy and fast? My kids will eat the veggies at the hibachi restaurant. We struggle so much with Belle eating, which often leads to (TMI alert) constipation. I am always looking for ways to sneak in veggies! The best part about this recipe, other than it is fast and yummy, is that most of the ingredients are typically in my freezer. 1.Heat olive oil in large sauce pan on medium heat. 2. 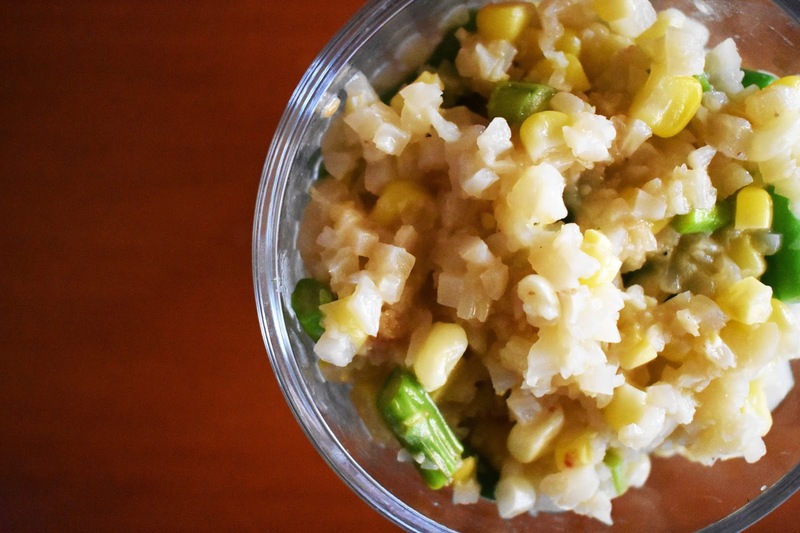 Add Cauliflower rice, green beans, corn, asparagus spears, and garlic powder. 3. Allow to simmer for 5 minutes. 5. Allow to cook on medium heat for 15 minutes. You can click here for a printable. My kids ate it! Did yours?